David Burns concentrates his practice on domestic and international IP procurement and prosecution, transactions, counseling, and strategy development toward the protection and enforcement of IP assets. He has more than 18 years of firm and in-house counsel experience with an additional 15 years of professional engineering experience. As a former attorney at Pratt & Whitney, a division of United Technologies Corporation, David provided all aspects of IP legal support for a multi-billion dollar aftermarket business segment. This experience included the management of an extensive international IP portfolio; providing the legal support for a licensing department; drafting and negotiating a range of transactions including joint developments and M&A due diligence; developing IP strategies and leveraging proprietary technologies in accordance with business objectives; and, conducting extensive IP clearance activities while working closely with engineering groups. He is competent in a broad range of technologies including electrical, electro-mechanical, mechanical, and materials with particular emphasis on the aviation, automotive and power systems industries. David has a J.D. from Michigan State University, where he earned honors in Writing & Advocacy and was on the Dean’s List. He has a B.S. in Nuclear Engineering with a concentration in physics and mechanical disciplines from the University of Michigan. He is admitted to the State Bar of Michigan and is registered to practice before the U.S. Patent and Trademark Office. 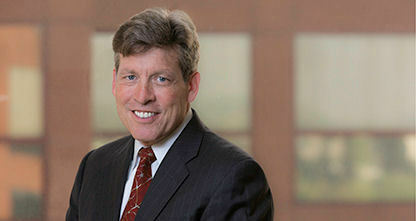 David A. Burns, formerly in-house at Pratt & Whitney, a division of United Technologies Corporation, has joined Cantor Colburn as Counsel in its Detroit office.